The U.S. military has grounded its entire fleet of F-35s in the wake of one of the planes crashing in South Carolina two weeks ago. As a result of an initial investigation, the 245 F-35s being used in the U.S. Air Force, Navy and Marine Corps will be grounded in an operational pause so inspections can identify which planes have a type of fuel tube suspected as the cause of the crash so it can then be replaced. (Staff Sgt. Corey Hook/U.S. Air Force) Two U.S. Marine Corps F-35B Lightning II's assigned to the Marine Fighter Attack Squadron 211, 13th Marine Expeditionary Unit, fly a combat mission over Afghanistan, Sept. 27, 2018. "The US Services and international partners have temporarily suspended F-35 flight operations while the enterprise conducts a fleet-wide inspection of a fuel tube within the engine on all F-35 aircraft," according to a statement issued by the Department of Defense's Joint Program Office that oversees the F-35. "If suspect fuel tubes are installed, the part will be removed and replaced." A U.S. official says only half the current fleet of aircraft have the fuel tube, but inspections will be carried out on the entire U.S. fleet. The temporary suspension of flight operations will also impact international partners, such as Israel and the United Kingdom, that have the F-35. There are 75 F-35s in the international fleet. The Israeli Defense Ministry tweeted that the "Israeli Air Force halted all F-35I flights until all aircraft are tested" for "a technical malfunction in the engine’s fuel tube." The British Defence Ministry also tweeted a clarification that it was not grounding its F-35 aircraft, but "paused some F-35 flying as a precautionary measure while we consider the findings of an ongoing enquiry." The wide-ranging grounding of the entire fleet comes after a Marine F-35B joint strike fighter went down in Beaufort, South Carolina, on Sept. 28. The Marine pilot safely ejected from the plane in what was the first crash for the F-35 aircraft that will become the main fighter for the U.S. Air Force, Navy and Marine Corps. 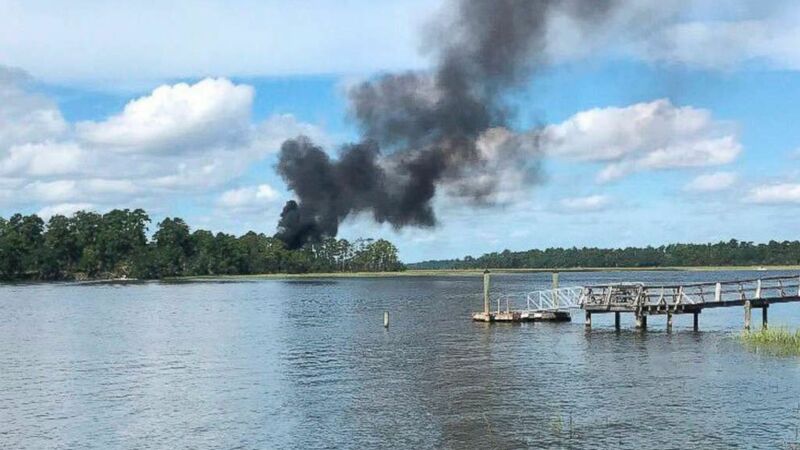 (Kensley Crosby/AP, FILE) Smoke bellows from a military jet that crashed, Friday, Sept. 28, 2018 in Beaufort, S.C.
"The primary goal following any mishap is the prevention of future incidents," according to the statement. "We will take every measure to ensure safe operations while we deliver, sustain and modernize the F-35 for the warfighter and our defense partners." The DOD said in the statement that if "good fuel tubes are already installed, then those aircraft will be returned to flight status." "We are actively partnering with the Pentagon’s F-35 Joint Program Office, our global customers and Pratt & Whitney to support the resolution of this issue and limit disruption to the fleet," said a statement issued by Lockheed Martin, the airplane manufacturer that makes the F-35. Pratt & Whitney makes the engine used in the F-35. Inspections are expected to last a day or two, the department said. 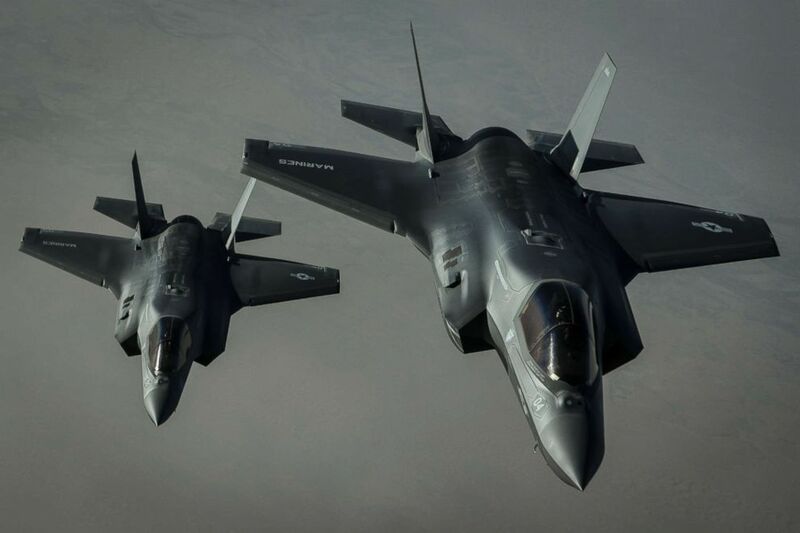 “From the ongoing investigation, I am glad that the Department of Defense took swift and decisive action to keep the F-35 fleet and its pilots safe," Representative Mike Turner of Ohio who chairs the House Armed Services subcommittee on Tactical Air and Land Forces. "As Congress returns in the coming weeks, I will continue to hold hearings and briefings to keep our pilots safe and keep improving the F-35, which remains unparalleled in its capability as a fighter jet,” Turner added.